In today's world the Scion is a reasonably small car. It dwarfs the 2000GT. One of two Toyota 2000GTs used in the filming of the Bond film You Only Live Twice. The two cars were transformed to appear as convertibles after Connery couldn't fit in them for the shots. One night during this year's Monterey Car Week, we were enjoying dinner with friends -- three of them avid car collectors. 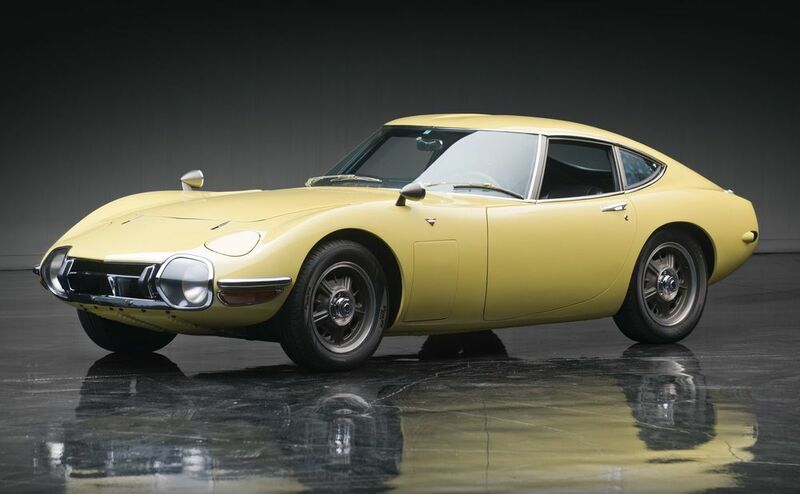 The conversation turned to speculation on the collectibility of Japanese cars, largely fueled by two auctions earlier that night, where two Toyota 2000GTs were sold, both just either side of $1 million. 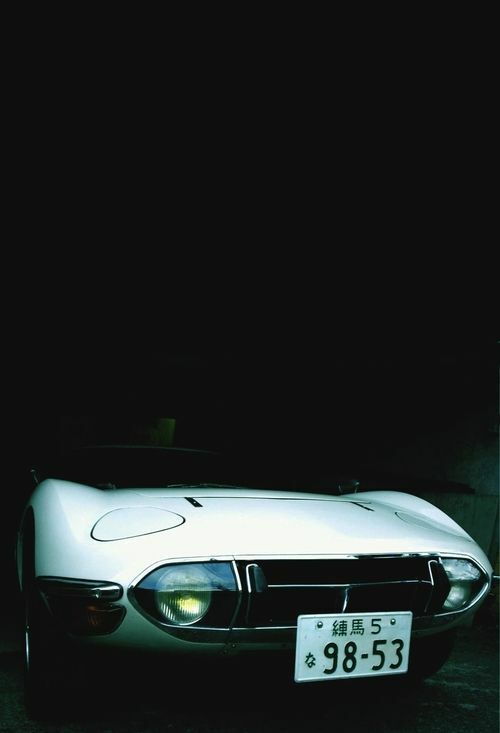 The Toyota 2000GT debuted in 1965 at the Tokyo Motor Show. It was designed by Toyota in collaboration with Yamaha. Quantities were very limited, with only 351 production units built from 1967 to 1970. 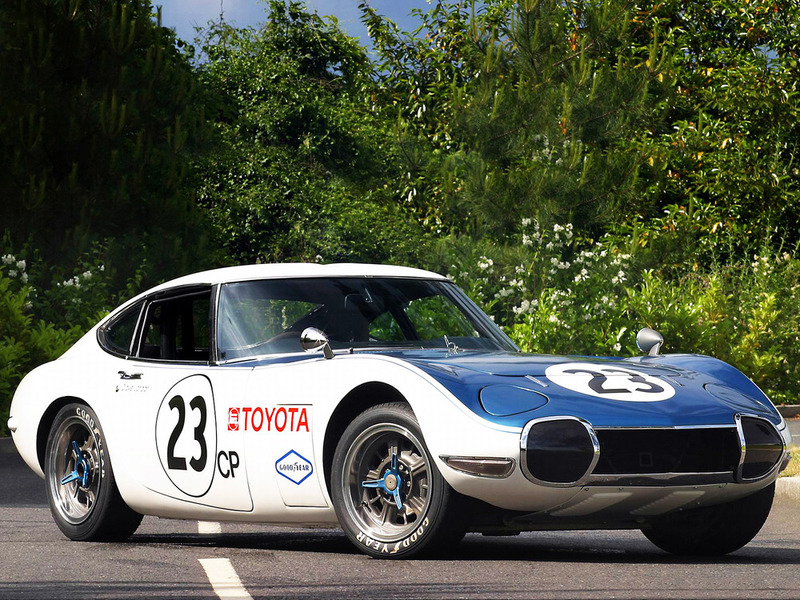 One could arguably say the Toyota 2000GT was Japan's first 'supercar'. At minimum, it had a significant impact on the way the rest of the world viewed the Japanese auto industry. The 2000GT showed Japan, known as the maker of practical, conservative commuter cars, was capable of building a world-class sports car. In a 1967 article, Road & Track magazine compared the 2000GT favorably to a Porsche 911, saying it was "one of the most exciting and enjoyable cars we've driven". Power comes from a longitudinally-mounted 2.0 L straight-6 (designated the 3M) based on the engine from the Toyota Crown sedan. Yamaha transformed the engine, with a new double overhead camshaft head into a 150 hp sports car engine. Fuel fed through three two-barrel Solex 40 PHH units. Nine special MF-12 models were also built with the larger (but SOHC) 2.3 L 2M engine. The rear wheels were driven through a five-speed manual transmission. A limited slip differential was fitted, and in a first for a Japanese car, the 2000GT was equipped with power-assisted disc brakes at every corner. The German-American designer Albrecht Goertz, a protégé of Raymond Loewy, is credited as inspiring the design for the 2000GT. Goertz had previously worked with Nissan to create the Silvia. He had gone to Yamaha in Japan in the early 1960s to modernize Nissan's Fairlady. They built a prototype, but Nissan decided not to go forward with Yamaha. Yamaha also contracted for Toyota, which was seen as the most conservative of the Japanese car manufacturers. Hoping to improve their image, Toyota accepted the proposal, but went with a final design from their own designer Satoru Nozaki. 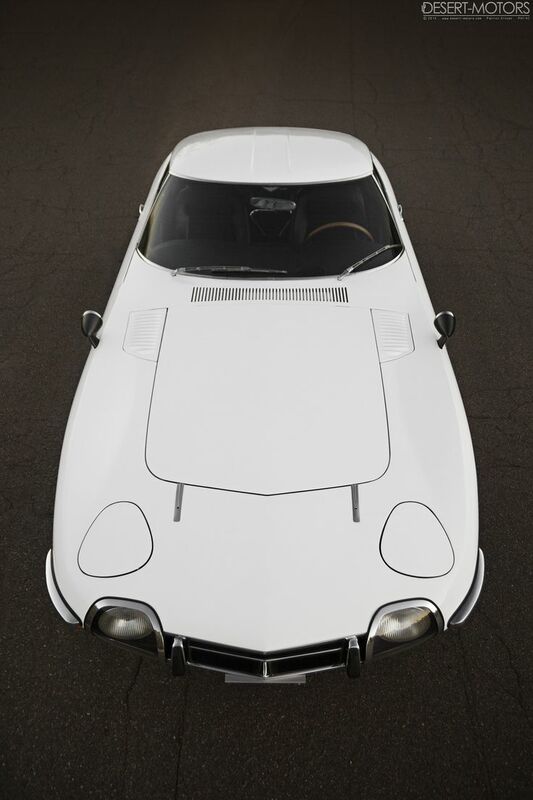 The curving, well-proportioned bodywork was crafted in aluminum, and featured pop-up headlights, as well as Plexiglas covered driving lamps on either side of the grille similar to those on the Toyota Sports 800. The design significantly minimized the appearance of the bumpers. The car was extremely low, at just 45.7 inches tall. In 1969, the front was modified slightly, making the driving lamps smaller and changing the shape of the turn signals. The rear turn signals were enlarged at the same time, and some light alterations were made to modernize the interior. The last few vehicles were fitted with air conditioning and had automatic transmission as an option. These cars had an additional scoop fitted underneath the grille to supply air to the A/C unit. Of course many recognize the Toyota 2000GT from it's appearance as a cabriolet in the James Bond film You Only Live Twice. The two film cars were provided to the studio as the standard coupe, but were initially converted to targa roofs since Sean Connery has considerable trouble fitting into the small, compact interior. That still wasn't acceptable to the film makers, since Connery's head still protruded above the targa roof line. In only 2 weeks the two cars were converted to full open-top models. Despite what the film shows, a factory-produced convertible was never offered for public sale. The 2000GT does have some motorsports provenance. Toyota entered the car in competition at home, coming third in the 1966 Japanese Grand Prix and winning the Fuji 24-Hour Race in 1967. Additionally, the car set several FIA world records for speed and endurance in a 72-hour test. That car was destroyed in a pace car accident and eventually scrapped. Just as an example of the global impact of this car, the record-setting 2000GT compelled Porsche to prepare a 911R especially to beat this record. Carroll Shelby also prepared a pair of 2000GTs to compete in the SCCA production car races, competing in the CP category. Initially Shelby built three cars, with one spare. Despite a decent showing, 1968 was the only season the car competed in the US. Toyota took back one of the cars to rebuild it into a replica of their record car, which still resides in Japan. The other two remaining Shelby 2000GTs still reside in the United States.